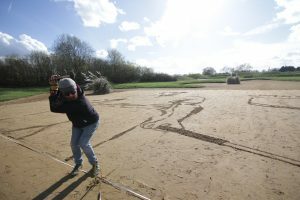 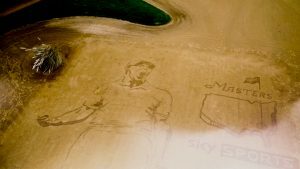 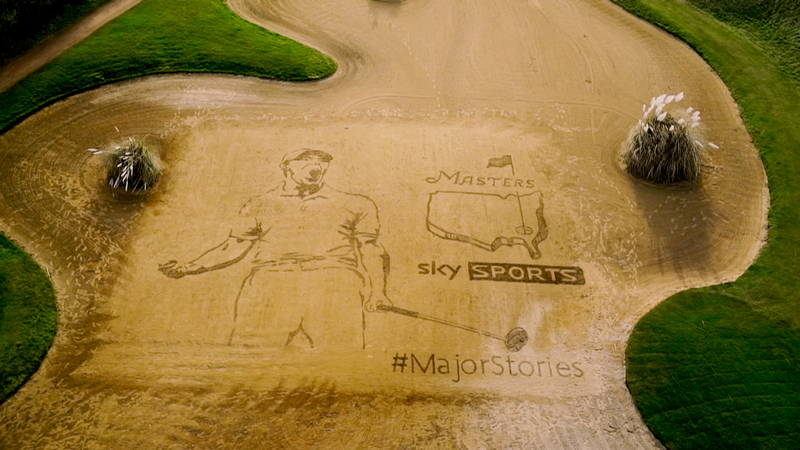 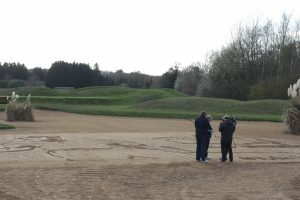 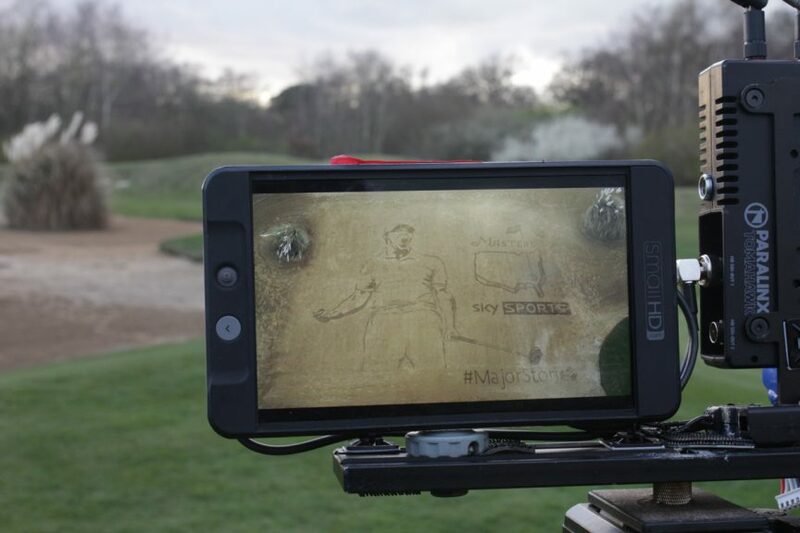 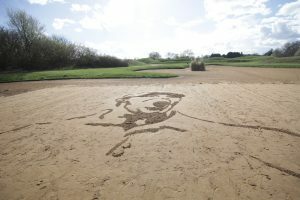 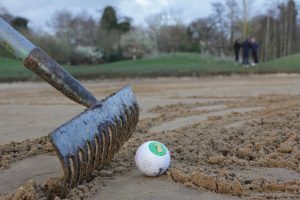 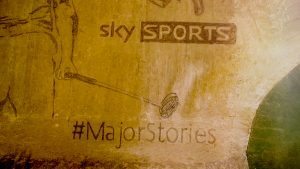 With this year’s golf tournaments in full swing, ahead of the Masters in Augusta, the team at Sky Sports challenged us to create a sand drawing in a golf bunker. 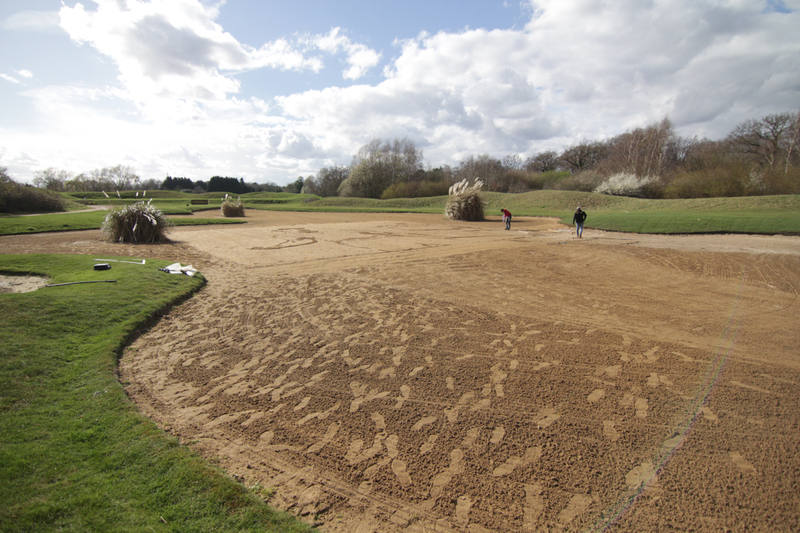 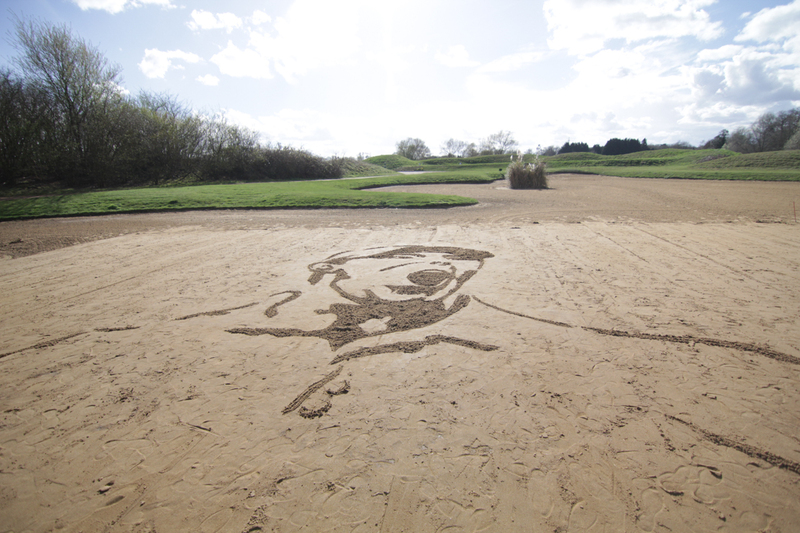 The first tricky job was to find a sand bunker big enough for a drawing! 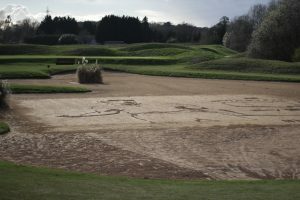 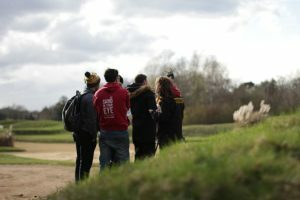 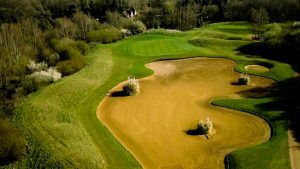 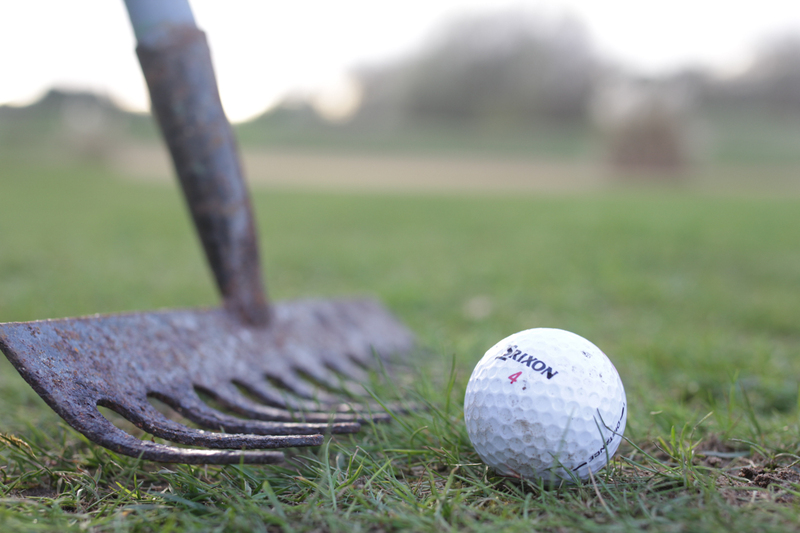 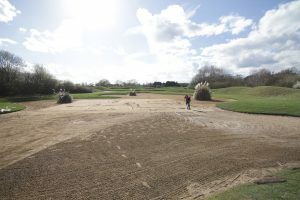 Thankfully Pyrford Golf Club helped us out, we checked the sand was Ok and we were good to go. 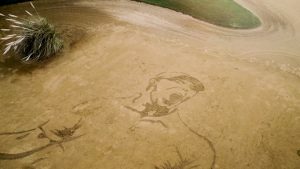 Jamie, Claire and myself went to check out the bunker the day before just as the sun appeared to plan where to do the drawing and Jamie had some fun with the golf buggy! 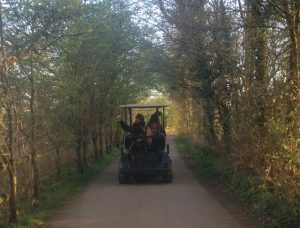 Jamie and Claire enjoying the golf buggy ride after a hard days work! 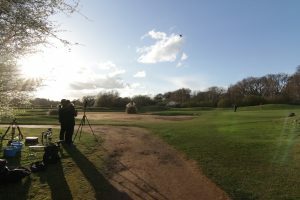 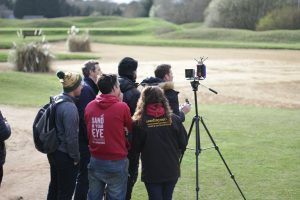 We met with the film crew the next day and got started on our picture of Rory McIlroy. 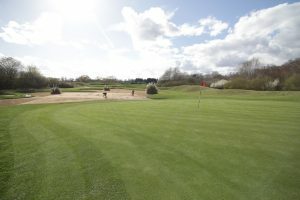 After lots of rain the day before, the sand and was ideal and the sunshine was a pleasant surprise. 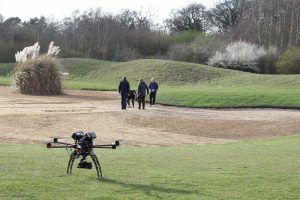 We drew away until mid afternoon with the occasional drone flyover and golfers passing by before finishing. 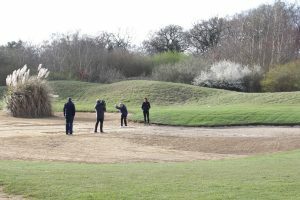 We watched as the Sky Sports pundits Tony Johnstone and Henni Zuel played a closest to the pin challenge while destroying our handywork! 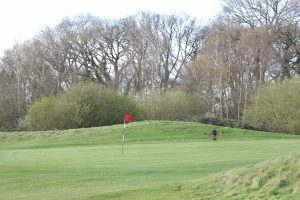 It was a pleasant change not to have to race against the tide and Gary at the golf club was great bringing us cups of tea and golf buggies, thank you! 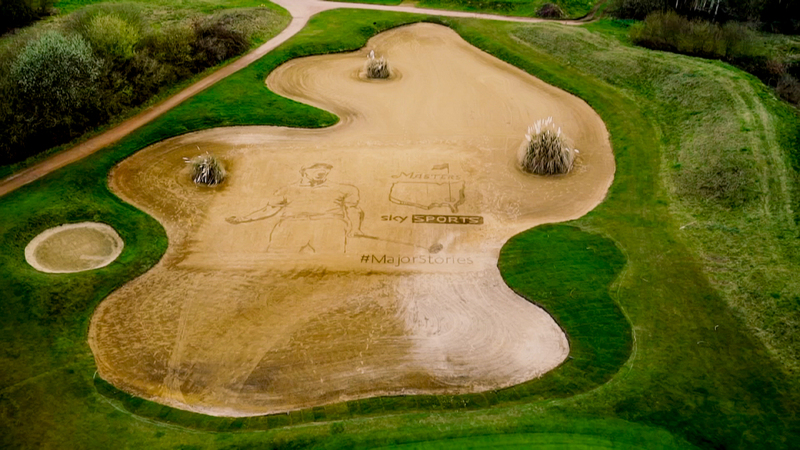 Click here to see the challenge in full.